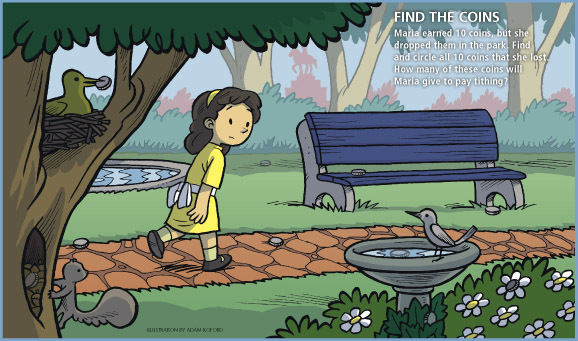 Maria earned 10 coins, but she dropped them in the park. Find and circle all 10 coins that she lost. How many of these coins will Maria give to pay tithing?